Event set for March 20. 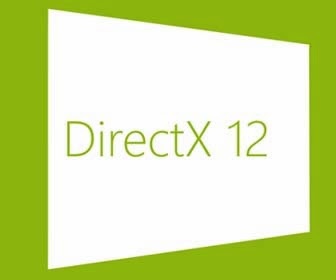 Microsoft will reveal the latest iteration of its graphics API, DirectX 12, later this month at the Games Developers Conference in San Francisco. Microsoft confirmed the new platform via a landing page on the DirectX blog as well as posting in the event's session schedule. At 10am PT on March 20, Anuj Gosalia, Windows graphics development manager at Microsoft will present the new API, though additional details remain scarce. The panel's description highlights how the company plans to deliver on demands of better tools for developers, added performance, and support for an "unparalleled assortment of hardware," with specific mention of PCs, tablets, phones, and consoles. 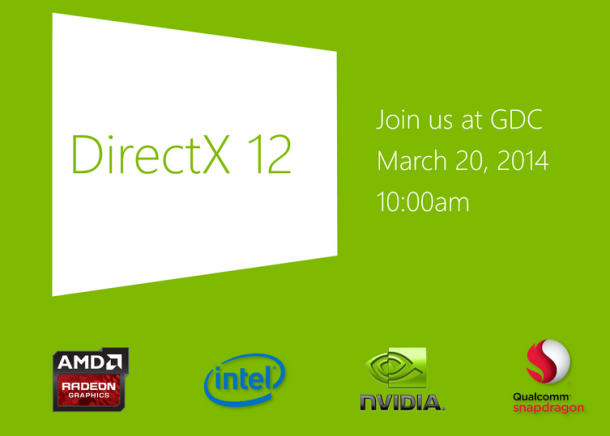 DirectX 12 will be the first generational leap for the platform since DirectX 11 made its debut in 2008. We'll be covering the event live from the show, so stay tuned for news, videos, and more.